This lecture at HHL from 19 February 2019 points at failures of management orthodoxies in the face of complex change. This presentation was given to the management team of a major European discount retailer. Complex societal change calls for many stakeholders to come together, find common positions and align their strategies and activities. For foundations this means that most significant societal challenges cannot be addressed effectively with the resources of only a single foundation. An uncoordinated approach taken by different foundations to the same challenge is unlikely to create the necessary critical mass, momentum and scalability that is necessary for sustainable change. That is why philanthropies increasingly try to build alliances to address major challenges in a coordinated manner. The coordination may take the form of a jointly funded regranting intermediary or a shared back office or alliance secretariat where effective strategies are developed and deployed, synergies across funders are aimed for, and learning across grants and grantees is fostered. Usually multiple funders of different sizes, from philanthropy, industry or government, with their own specific objectives and theories of change may fund an intermediary calling for different interaction and reporting formats. Some funders may have staffing limitations; others may aspire to an operational leadership in the field. This creates a major alignment challenge among funders. Relationships between intermediaries are complicated by funding dependencies or by competition for funding from the same funder. “Leverage” of funding may take the form of aligned funding where a new funder of a theme decides to fund a grantee directly but in a complementary or supporting way to an existing strategy. If this frees up funds or increases the success probability of an initiative such aligned funding is as useful as funding that flows directly through the books of an intermediary. However, current reporting systems tend not to show such leverage via alignment despite its importance. Grantees usually receive funding from multiple sources, sometimes involving funding directly from a funder and at the same time indirectly via an intermediary. This need not be a bad practice per se and will often arise from unsynchronized decision-making cycles or different desires for control at different organizations. Such complex funding flows call for a cumulative tracking of funding that extends to the stakeholder ecology beyond the bilateral grant tracking. A stakeholder ecology comprises political, social and cultural contexts which may be different for different stakeholders. That is why a full view of a stakeholder ecology should not only map out financial flows and dependency but also information flows, and strategic and cultural assumptions, value choices, and political contexts of stakeholders. The boundaries of a stakeholder ecology are never well-defined as social change mostly happens in indirect and systemic ways. Given the fuzzy boundaries of stakeholder ecologies the complexity increases as different ecologies command different levels of funding – and with funding tends to come a sense of direction or priorities. Instead of taking a transactional and linear view of funder alliances and intermediaries one needs to develop a deeper understanding of the network quality and dynamics. A key question is how to document synergies and the coordination quality in the stakeholder ecology. To answer this question it is first of all important to capture the activities/grants in a common representation and to identify dependencies, complementarities and coordination quality of grants. 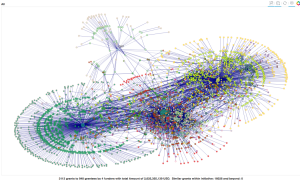 This attached paper summarizes an approach where graph theory and big data tools are employed for representation and analysis of a network of grants. To that end grants, grantees and funders are represented as nodes in a network or graph where edges indicate financial flows or similarities of activities. 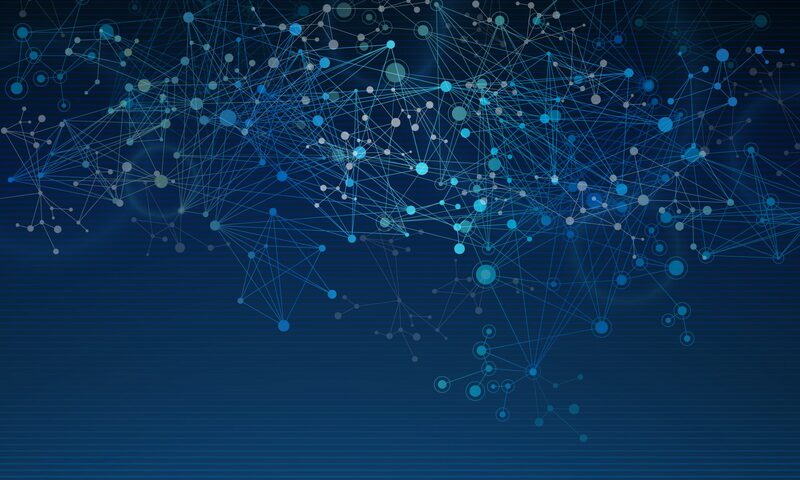 With the help of such network representation and analysis concepts like the centrality of a network can be measured to identify partitions or segments of the network. Big data tools and natural language processing are used to identify similar grants automatically. The data used are descriptions of environmental, conservation and climate change grants that were scraped from the websites of the Hewlett Foundation, the Packard Foundation, the Oak Foundation, and the Children’s Investment Fund Foundation in July 2018. The web scraping resulted in a data set of 3113 grants to 948 with a total funding of $2,625 billion. The approach described in this paper with the example data scraped from the websites of four major environmental and climate change funders may motivate other funder alliances and intermediaries to structure and collect grant data in such a way that modern big data tools can be applied for visualization and analysis. Explicating the complexity of stakeholder ecologies with the help of network representations and then using algorithms to visualize and better understand the underlying structures can be a useful step in addressing the challenges of overcoming silo thinking and moving towards more systemic change. Given the reluctance of foundations to share data and the difficulties of managing complex funder alliances the challenges of implementation are likely to be more cultural than technical. However, in a world where big data approaches are increasingly powerful to support learning across boundaries it would be a lost opportunity if philanthropy did not include these data driven approaches to coordination and learning in their strategies and operations.